From Mad Head, the studio that brought you Subject 360 and the Nevertales series, comes another exciting story in the Rite of Passage saga. Your mentor calls you, in need of urgent help. On your way to meet him, the sky turns supernaturally frightening! You'll soon discover that your beloved professor is dealing with a dangerous storm unlike anything he's ever witnessed. Can you uncover the dark secret swirling at the heart of this storm, or will lightning strike you down? 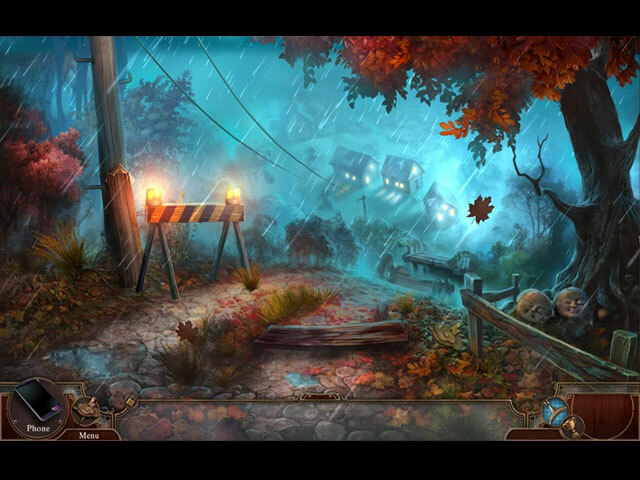 Find out in this innovative hidden-object puzzle adventure game with tons of clever puzzles! 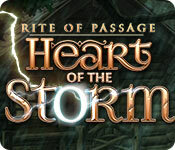 Rite of Passage: Heart of the Storm is rated 3.9 out of 5 by 18. 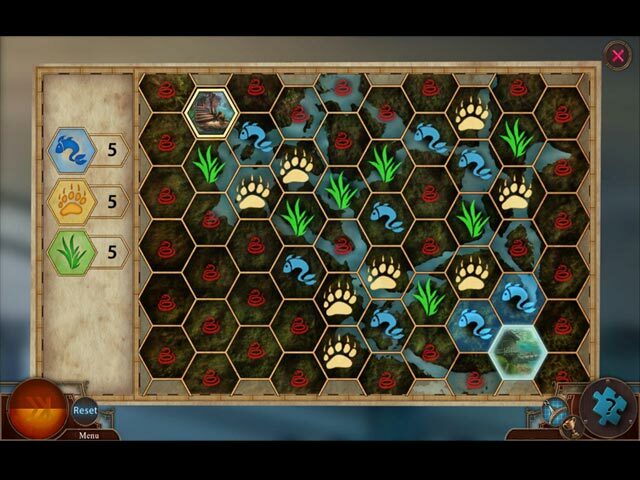 Rated 5 out of 5 by Sara6777 from I really enjoyed this game! Review based on SE...I just didn't feel CE was enough bang for my buck...and I'm usually a CE girl. I have no regrets purchasing the SE, though...definitely a fun game, and the graphics were great!! Nothing too challenging...in fact, fairly easy puzzles, etc. If you're looking for a good, relaxing game, try the demo...hope you like it as much as I! Rated 5 out of 5 by KellyRegan from Fabulous Fabulous game! Love Mad Head games. 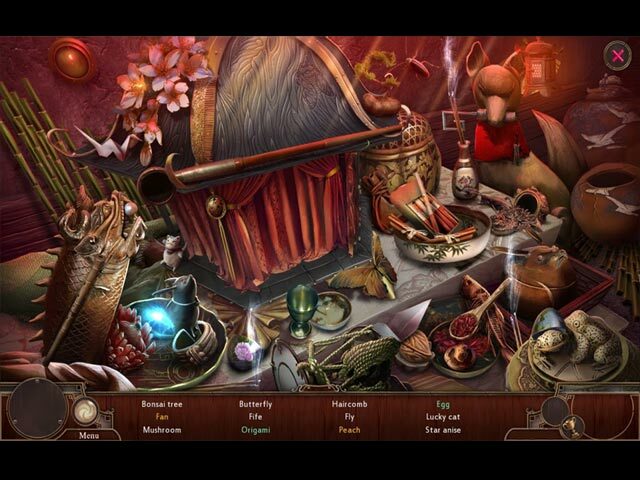 Interesting story line, beautiful graphics and loved the creative hidden objects scenes and mini games. More please! Rated 5 out of 5 by Dazzleceil from Riveting Story This is one of the best games I have played in a while. It starts immediately during the video before the actual game which was a big surprise and great experience. I usually just sit back and let the video finish, not this time! The graphics and playability were top drawer and I highly recommend everyone to take a look. You won't want to stop. Rated 5 out of 5 by BooksandGameFan from Better than 99.9% of the games out there! I really really enjoyed playing this game. The graphics and voice overs were perfect. Mini games and hidden object scenes were fun. My favorite part though is that there was actually, a wonderful storyline. Love, loss and the 5 stages of grief! I purchased the CE which I normally never do but I didn't want to wait a month to play this game. I'm so glad I got the CE as it ties everything up nicely. If you try to judge this game by playing the demo only you will be sadly disappointed as the game changes dramatically once the demo is over. It's far different than you think it's going to be,for the better! This is why I personally don't particular like to read reviews by people who haven't played most or all of the game. I know what the demo looks like, we are all allowed to play it ourselves.It's what happens after the demo that I'm always interested in which is why I usually save my review until I'm completely finished with the game. I did play the entire game plus the bonus and the game and story were wonderful. Better than a whole lot of other games coming out recently! I have to say for me so far this is my favorite game of 2016! Rated 5 out of 5 by siladan from Most Exciting Casual Game I've Played In A While I don't usually review games unless they are stellar or real duds, and I only review duds because I want to point out the issues I had with them. Consequently, I haven't reviewed a game in a while, as most of the casual games I've played lately have been pretty solid in the average category... until now. Heart of the Storm (HOTS) really delivers for me. It has all the elements that make a game fun, exciting, and compelling. HOTS has stunning graphics, excellent audio, interactive (and fun!) hidden object scenes, plus puzzles that aren't the same, lame game. Fuse all of those elements with a super compelling story and it's a sure winner in my book. There is so much interactive fun, so many twists and turns, so many "Wow!" moments, that when the demo ended, I groaned "Nooooo" aloud. I didn't want to stop! The sad part is, I almost didn't download it based on the sole review (a 2 star). But having enjoyed the Rites of Passage series before, and Mad Head developers in particular, I decided to chance it. I am thrilled that I did. It just goes to show that although reviews are meant to be an informative tool for game purchases, you definitely should try before you buy. One reviewer's trash might be another reviewer's treasure... and may become a new favorite! Rated 4 out of 5 by campingramps from Pretty good second time around. Second time around meaning I had evidently played it before because when I downloaded this time I had 77 minutes left which either means the first 13 minutes are junk or something came up and I uninstalled it. I'm thinking it was the latter because I really enjoyed it this time. The graphics are great and I love the storm raging as they try to contain it. Adds an element of suspense. Typical storyline where you are the only one that can save mankind by the possessed storm, blah, blah, blah, but still fun to play. Not many HO's but they are a little different from normal and the puzzles are fun. All in all a fun game that may not be for everyone but I recommend it. Rated 4 out of 5 by terricT from A different spin Story-wise this is better than the previous games in the series. There is a cool twist on the "evil spirit" trope, and the villain of the story isn't who you'd expect from the start. I like the theme of letting go at the end. The gameplay however is a bit limiting, because the game tends to rush you from one place to another with scripted events, which restricts exploration. I would like to explore the maps on my own instead of being constantly rushed. Rated 4 out of 5 by Aliana_4711 from Excellent. A little bit too short. My rating is based on completion of SE and fulfillment of most of my personal requirements. - Story: An interesting story about murder and revenge. You are going to help your professor, when a storm is brewing. This storm has a malevolent spirit – so it seems. But as often, it is not as simple as it looks. It has quite a nice end (justice wins), not hasty and with some niceness. - Difficulty can be customized: You can chose map issues, glitter, plus item indicator, penalty, hint and skip recharge time and character dialog (whatever that is, I did not try it). Unfortunately, you can’t exclude helping texts. Three levels of difficulty are preset. - Graphics: The graphics are detailed and prospectively drawn with interesting and realistic as well as fantastic sceneries. - - Animation: is pretty amazing - excellent - Music: at the beginning a little bit thriller like, later on smoother. Fitting background noises. - Voice-overs: good spoken, matching the characters, perfectly synchronized - Tools: you have an interactive map – not really necessary, because you have to investigate round about 5 locations. You don’t have to go back. And you do have your handy mobile, with flash light, photo,.. - HO’s: there are different types of HO included. Really good done, sometimes interactive. - Mini games: There is a broad range of different mini games, well-crafted. - Relation to reality: That was surprisingly good. Not only the places, where needed items are to be find, are reasonable realistic, also some of your tasks. E.g. you are extinguishing the burning barn with a fire hose (with pressure, valve and so on), you’re taking gas out of a compressor with a pump and other. That was something I liked. Dislikes: - Length: I needed nearly 3 hours for completing. Much too short, especially because I could have played it forever. Usually I award stars according to the length of a game, IF it meets all of my requirements: 3 for 3 hours, 4 = 4 hours 5 = 5 hours ++. But in this case, I gave an additional star due to quality and story. I recommend this game. It is challenging, has an interesting story I liked and high quality.